For Valentines Day I thought it would be cute for the girls to make a valentine for their Grandmas and Grandpas. 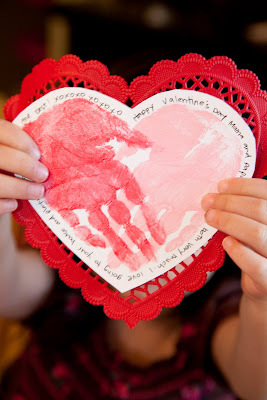 I found this idea to make a heart using their hands and then writing a message around their hands. what did you use for color on their hands? 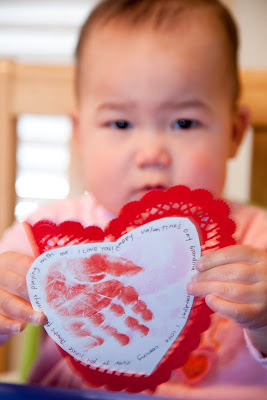 Hey--we loved your craft and included it in a roundup of awesome Valentine's Day crafts on our blog! In Memory Of My Wonderful Mother! 2 posts in 1 month! Time !!! Where Does it Go?